In Loving Memory of James Thomas Murrow, who passed away at his home on February 9, 2019 in Crestview, Florida. Jim is survived by his three adult children, Josh Day, Emily (Chase Callahan), and Sara (Brent Henderson) as well as one grandchild, River Callahan. He is also survived by his mother, Marjorie Murrow and four siblings. Jim was born at an Air Force hospital in Germany and made his first international crossing to the USA as a twenty-month-old. He grew up in Suitland, MD and graduated from Suitland Senior High School in 1974. He moved to Crestview, Florida in 1989 and married Ann Catherine Hazelwood Murrow, who preceded him in death in 2011. While living in Crestview, Jim obtained his AA in Criminal Law at Northwest Florida State College to qualify as a Paralegal. Most of his career was spent as a long-haul trucker, but Jim was home with the family he dearly loved nearly every weekend. Once on the road, he faced a harrowing choice when the brakes failed on his eighteen-wheeler: either hit a bus risking injury to other people or aim for the brick wall assuring greater injury to himself. With a split second to decide, Jim chose the wall and later received a commendation. 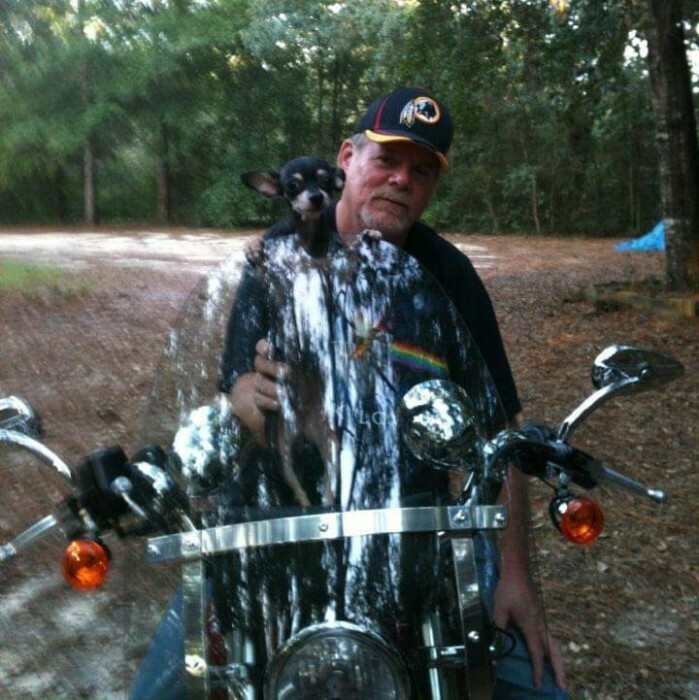 Jim also loved his dog Harley and riding the highways on his Harley motorcycle. Almost on another level, he revered the Washington Redskins. Jim was an accomplished musician and singer. He played harmonica, banjo and guitar and often enjoyed performing with friends. He will be missed by his family and friends, especially for his caring heart and sense of humor.